New this season? Sports new splice elastic! 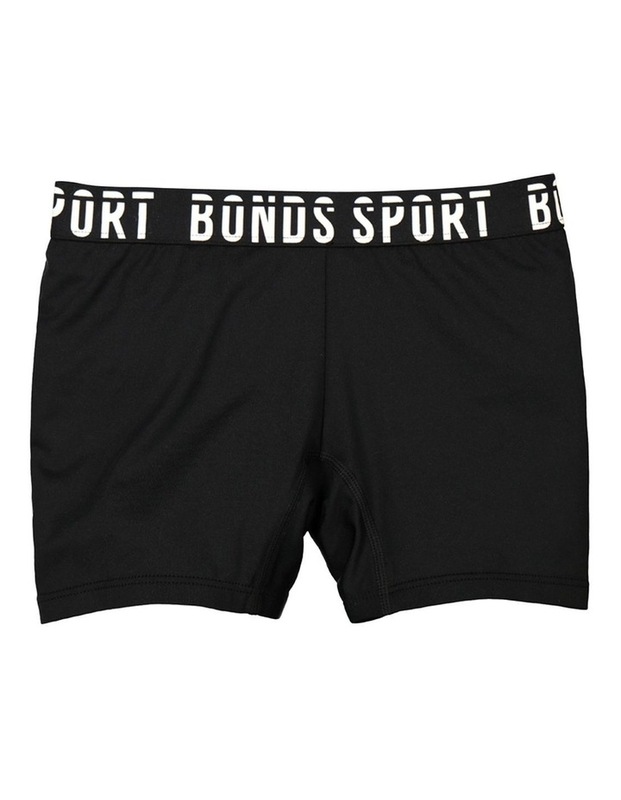 The Bonds Performance Sport Shortie feat longer leg with cotton elastane gusset for support & comfort under sport uniforms. All styles featuring Polyester Elastane Microfiber Body with 'Moisture Wicking Properties? Properties? keeping little bodies cool and dry providing smooth and easy movement with increased comfort and performance durability.